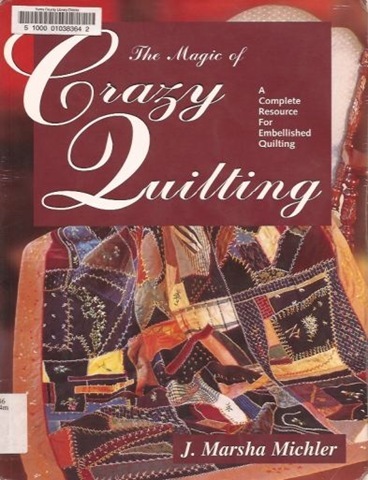 Not being very familiar with crazy quilting I looked at some books for ideas. 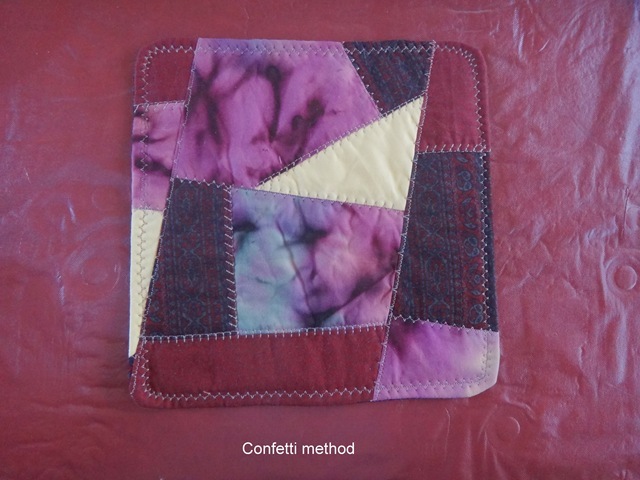 In “The Magic of Crazy Quilting” by J. Marsha Michler she showed four methods. 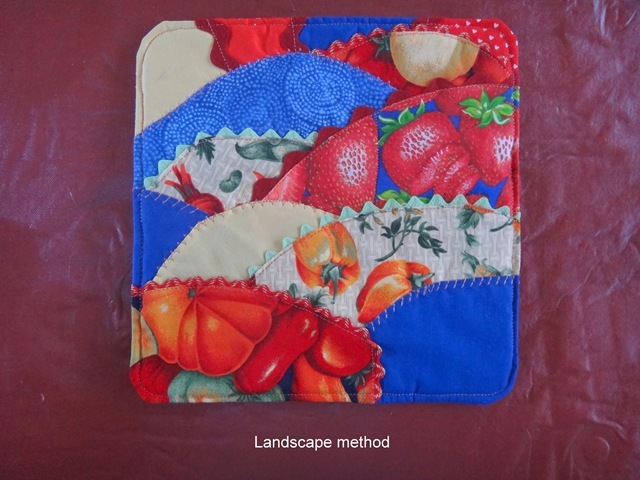 In “The Magic of Crazy Quilting” by J. Marsha Michler she showed four methods. 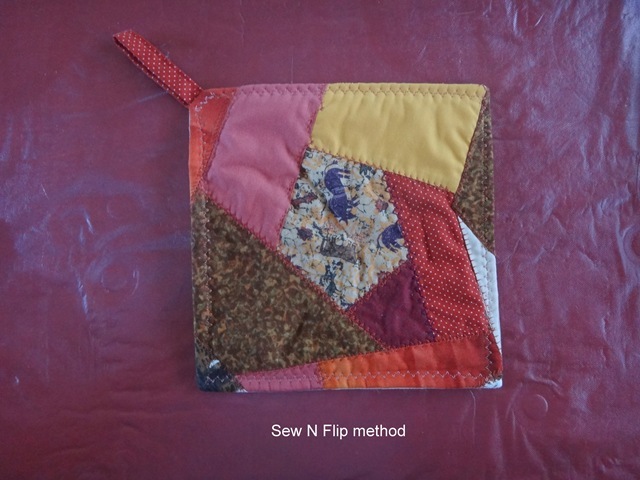 I decided to try each method by making a potholder or hot pad from each method. 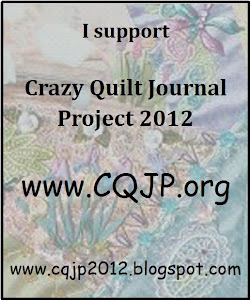 Since I am going to participate in the CQJP (Crazy Quilt Journal Project) I thought doing the smaller pieces would be helpful. This entry was posted in Crazy Quilt, Embroidery, Quilting. Bookmark the permalink.